These Unicorn Themed Pretzel Rods are not only crazy simple, but they’re super delicious as well. 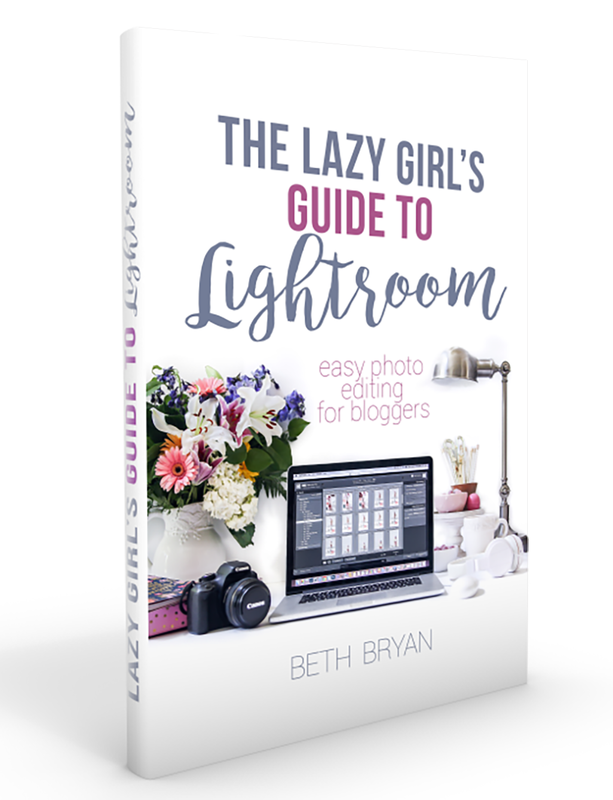 You’ll fall in love with how simple they are! 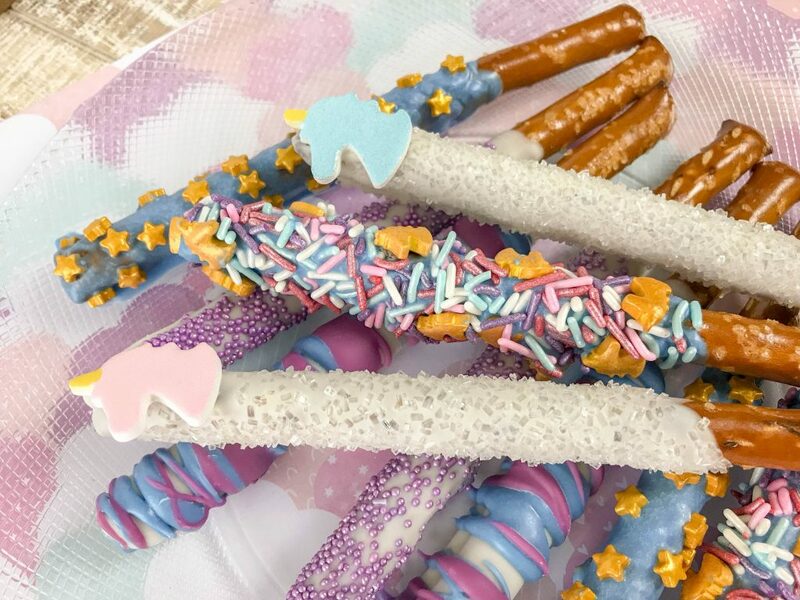 First off, aren’t these unicorn themed pretzel rods literally just the cutest? They not only just scream “magic”, but if you have a unicorn-themed birthday party coming up, these need to be on your radar! I assure you they will literally be show stoppers. And honestly, if you want to let your little helpers help make them with you, they’ll love doing this and decorating them as well. Who could say no to these adorable pretzel desserts? Get as many fun sprinkles and colors that you can so that each and every one can truly be unique and beautiful! Start by melting the candy coating according to package directions. Please follow carefully as you don’t want to overheat the candy. You’ll know that you overheated it if it becomes thick. If this happens, add 2 teaspoons of vegetable shortening or coconut oil only and stir. Next, take and pour the candy coating over two-thirds of the pretzel rods. Shake them to remove any excess candy. If you are adding sprinkles, start doing so immediately and rotating and rolling the pretzel rods to make certain that all sides are getting covered. Then, take and put the pretzel rods on waxed paper or a cooling rack. If you are going to add more colored candy melts, allow the first round of candy coating to set first. Then, use a fork to drizzle the candy coating over the pretzel rods. 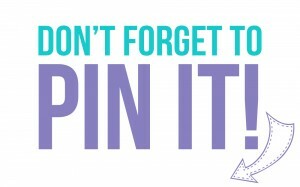 Before the pretzel sets, gently pick it up and move to clean wax paper or a wired rack. Make certain that you let the pretzel rods dry completely before packaging or serving to others. The leftovers can be stored in an airtight container at room temperature. If you do decide to keep in the fridge just know that it may cause the pretzel to not be crispy. See how simple these unicorn themed pretzels are? You’ll love the entire process of making them from start to finish. They really are that simple! 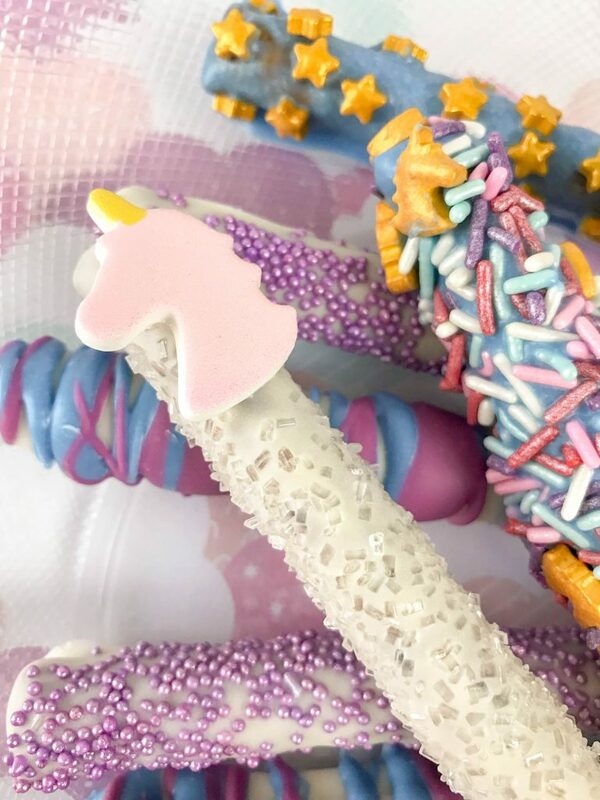 Have you ever made unicorn themed pretzel rods before?